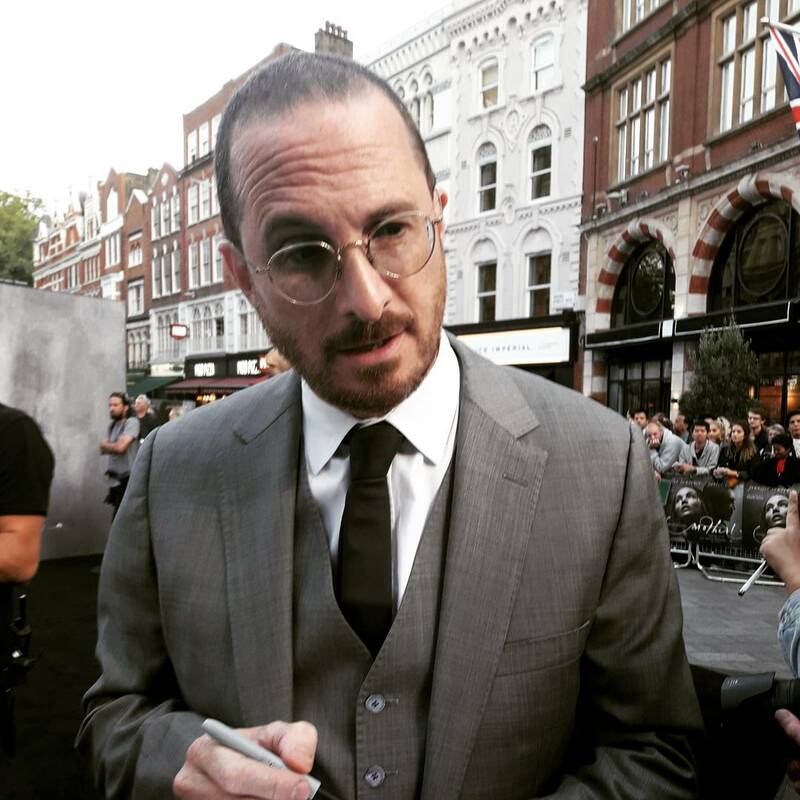 Some of you may have seen it on our Instagram account, but September was full of events in London and especially of Premieres. 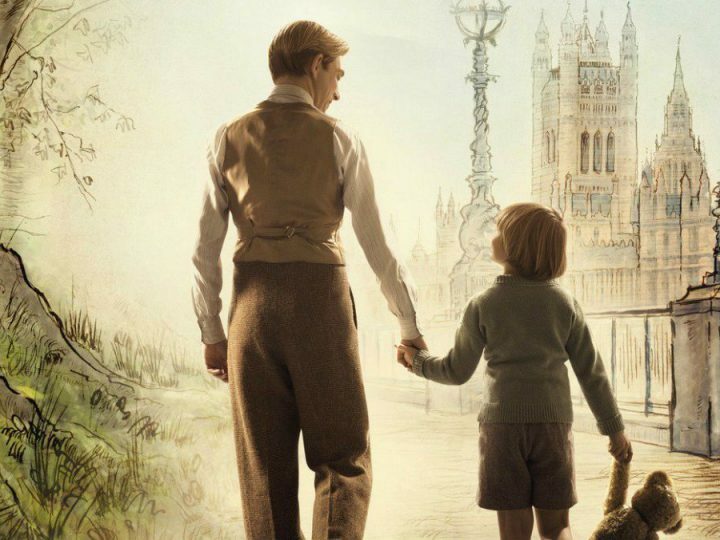 I was interested in four of them: Victoria & Abdul, Mother!, Kingsman: The Golden Circle and Goodbye Christopher Robin. 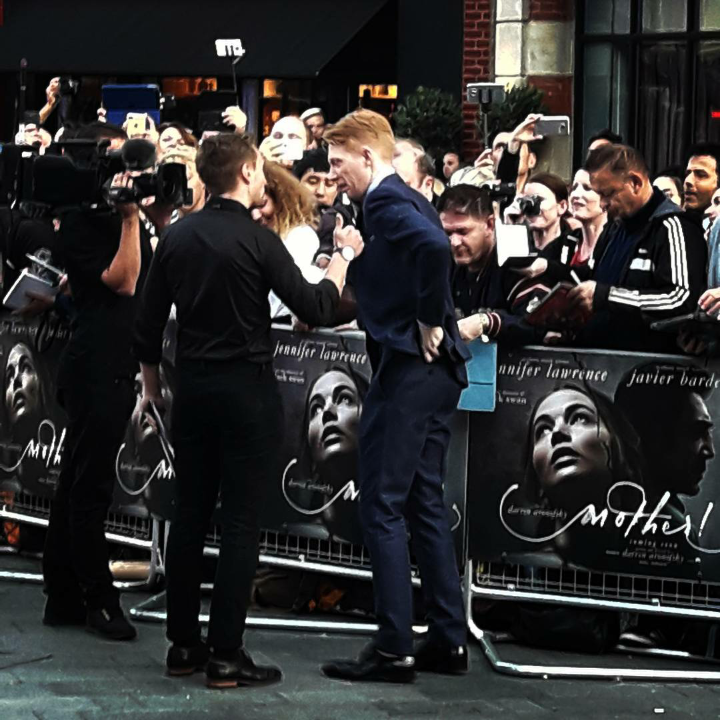 So I am going to tell you how I lived these events, what I felt and my opinion about the “logistics” of a premiere in London. Here is our Ultimate Guide for London Premieres. 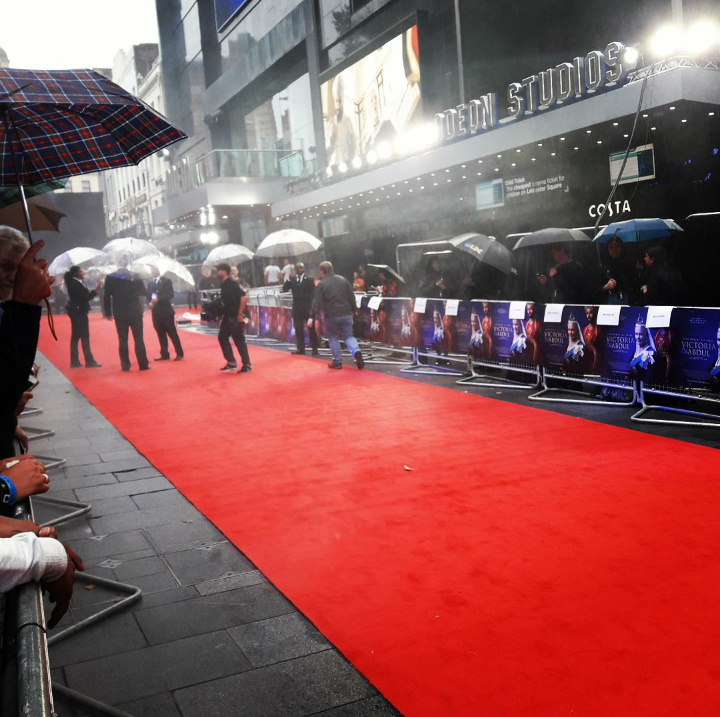 It seems silly to say this, but you have to come prepared when you attend a premiere. First, there are the basics. The first things you think of: A camera and/or a phone, a pen (that works) a notebook and goodies if you have some. In my case, I don’t try to have an autograph. A picture is already nice (Not a selfie. I hate selfies). Then, there are clothes. 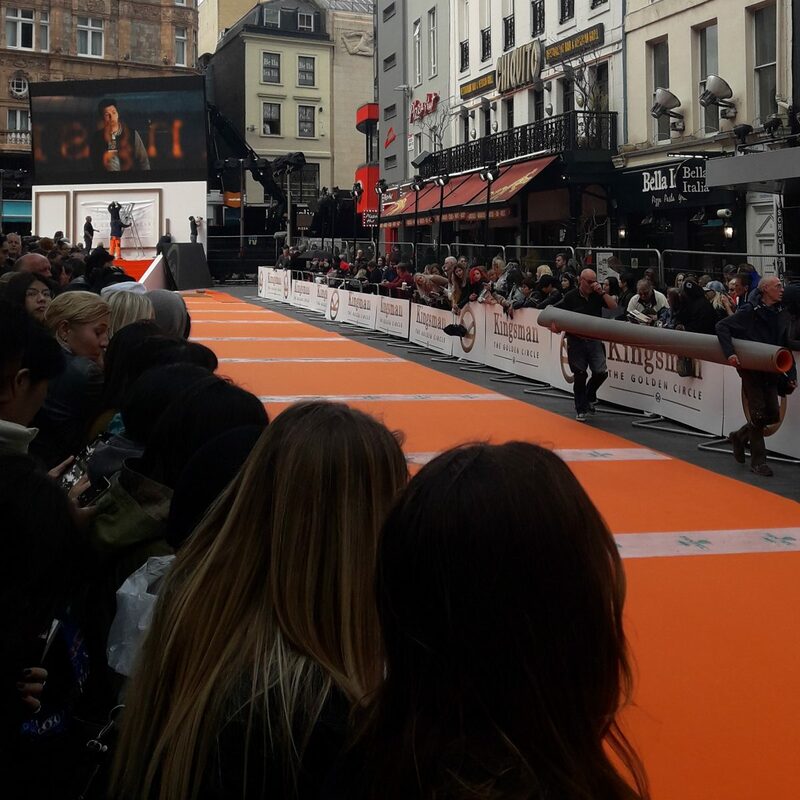 Most of the Premieres which take place at Leicester Square in London start around 5pm (officially) but the actors usually arrive on the red carpet (or another colour) around an hour and a half later. Some people (real true fans) can arrive very early in the morning, before 7am, or even sleep on the spot the night before. I have some limits so I prefer to arrive in the early afternoon. 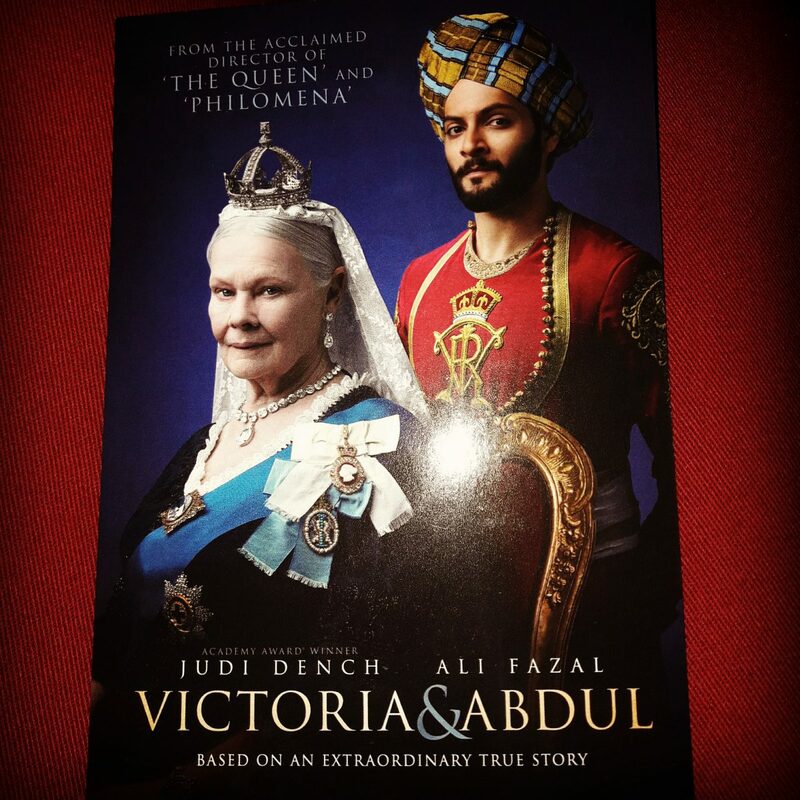 It was only for Victoria & Abdul that I did what you have not to do: I arrived an hour before the official start of the event. It took me the four premieres to get it, but you need to go to the theatre to ask for a wristband if you want to attend the premiere. 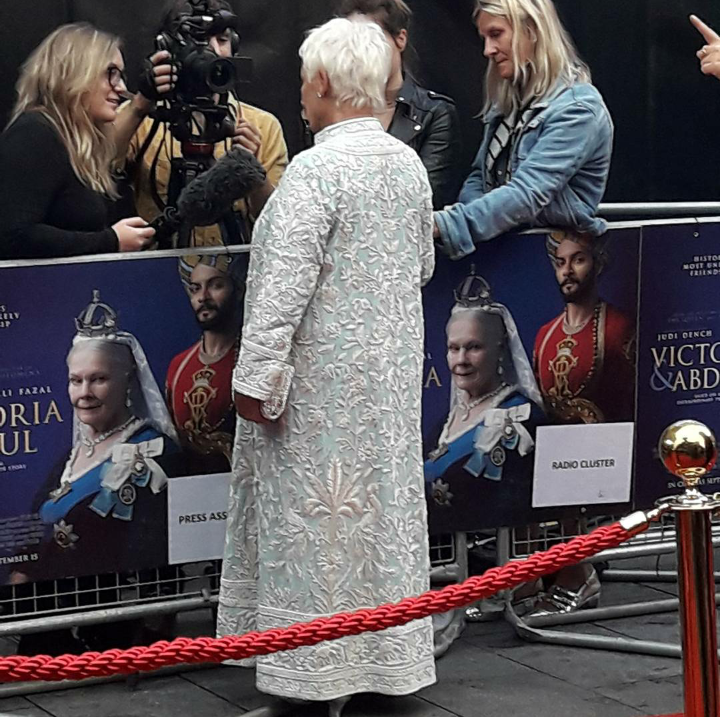 I had a blue one at Victoria & Abdul premiere. I had none for Mother! because there was no more when I arrived (earlier than for Victoria & Abdul though). 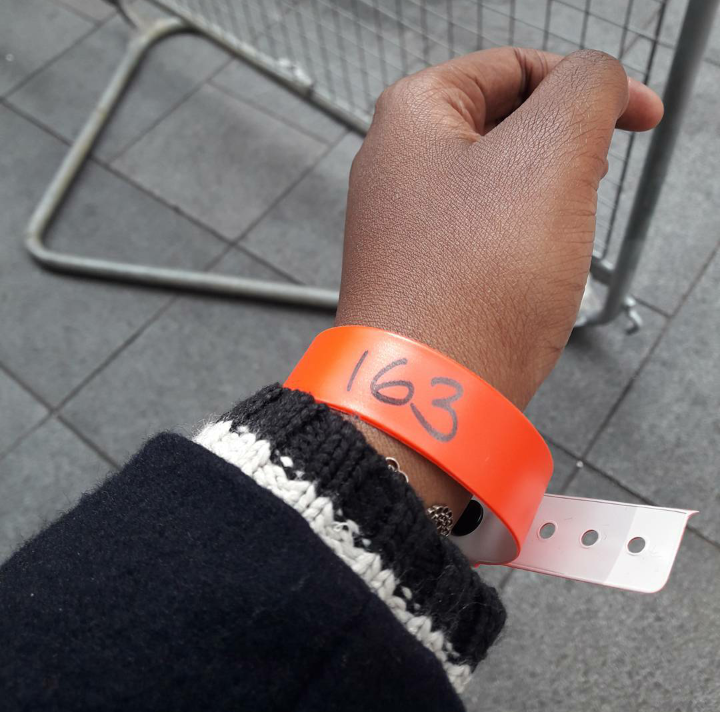 I had a red wristband at Kingsman: The Golden Circle premiere (there were several wristbands colour for this premiere) and there were green wristbands at Goodbye Christopher Robin premiere, but I didn’t have one (there were only 120). Wristbands enable security guards to identify people who want to attend the event. Those who don’t have one, go where they can. This is a theoretical aspect because you can be well placed without a wristband, true story. When I say being well placed, I mean that it is better to be close to the gates and not to be behind someone else because I do not really know which is the best place to attend this kind of event. First I thought that being placed where the cars would arrive with the cast would be better and I finally thought it was right in front of the theatre where the cast would go in… So I think that there is no good or bad place but that each premiere has its luck. 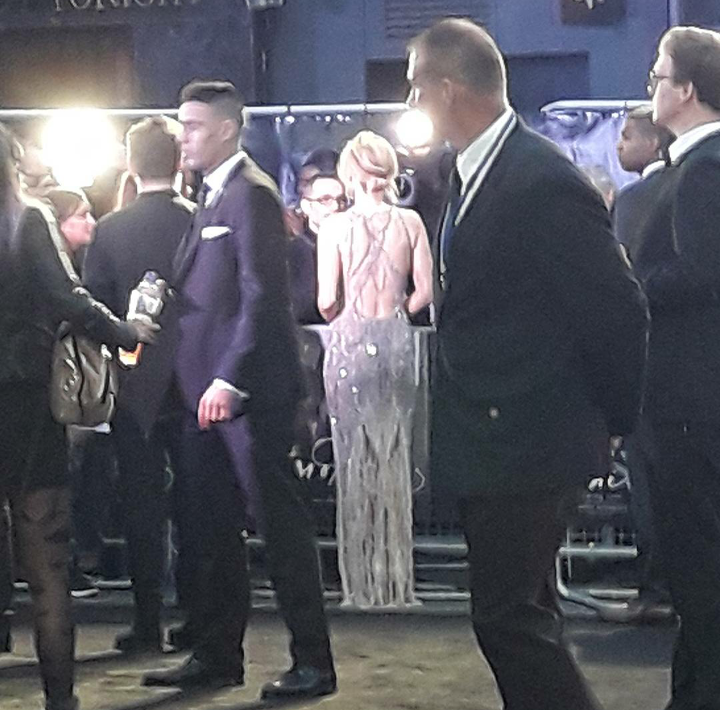 To be to the fences, bags are searched by the agents and/or sniffed by dogs (that happened for the Kingsman premiere). Wristbands are checked too. Once done and behind the fences, you wait. I am not very patient and waiting for several hours and standing behind a fence quickly put me in a bad mood. I have thought for several times that I would leave and go home but what urged me to stay was obviously the fact of seeing the cast of the film, and also the fact of being able to get invitations to see the film. This can happen when the premiere is supposed to start thanks to a “Warm up act” (I absolutely don’t know how to call this person). It was the same person for the four premieres. This person is there to liven things up before the event. And there is nothing better than to win invitations for that. But I admit that I was not lucky. 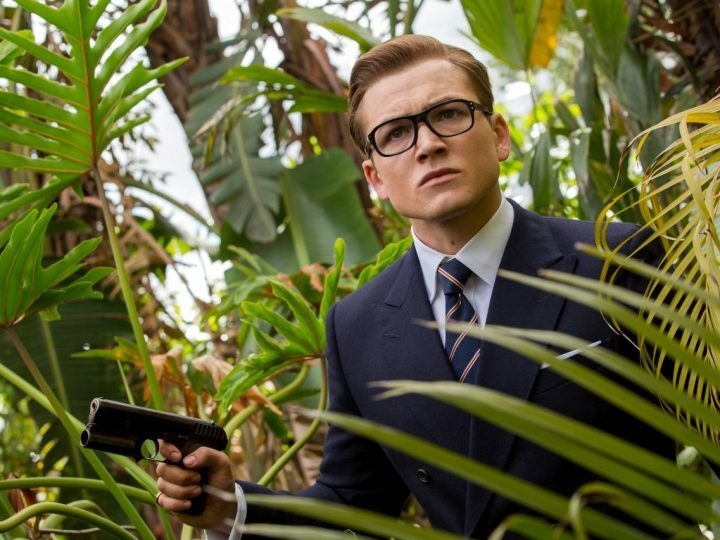 I was a bit disappointed, especially for Kingsman which was THE movie I wanted to see at all costs. I was even frustrated that someone next to me had everything! T-shirt, keyring, invitations… It was really unfair! I probably exaggerate a bit, but that’s how I felt at this time. This is the most interesting time of the day. This moment when the cast arrives. You see the actors one after the other. They say hello to the crowd, pose for photographers, meet journalists and of course, they go to see the fans. This was the moment I feared the most. I had a very bad experience during a premiere in Paris a few years ago. Fans pushed too hard so as to get a small autograph. It was a nightmare. And I was really surprised that it did not happen in London. It doesn’t mean that no one pushed but nobody pushed people to the point of dropping the fences. And nobody insulted people who were against them. And of course, there are those who screamed the actors’ name too. It’s part of the game. Then it’s the lottery. It is not because you scream their name that the actors will come to you. Not because they don’t want to but because they have a whole staff around them which guide them on the carpet and especially to journalists. Again, it’s like that. 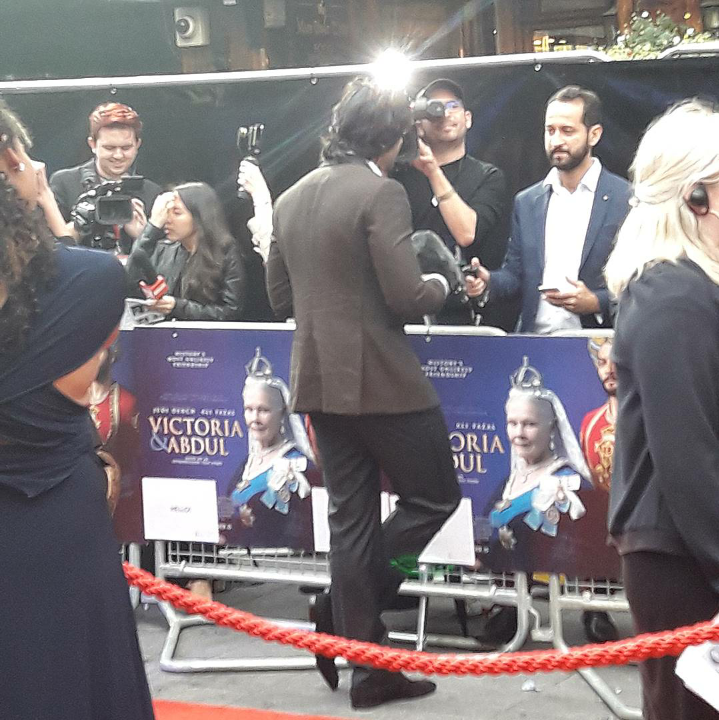 For instance, I do not remember seeing the cast sign a lot of autographs at Victoria & Abdul premiere. It went quickly inside the theatre. 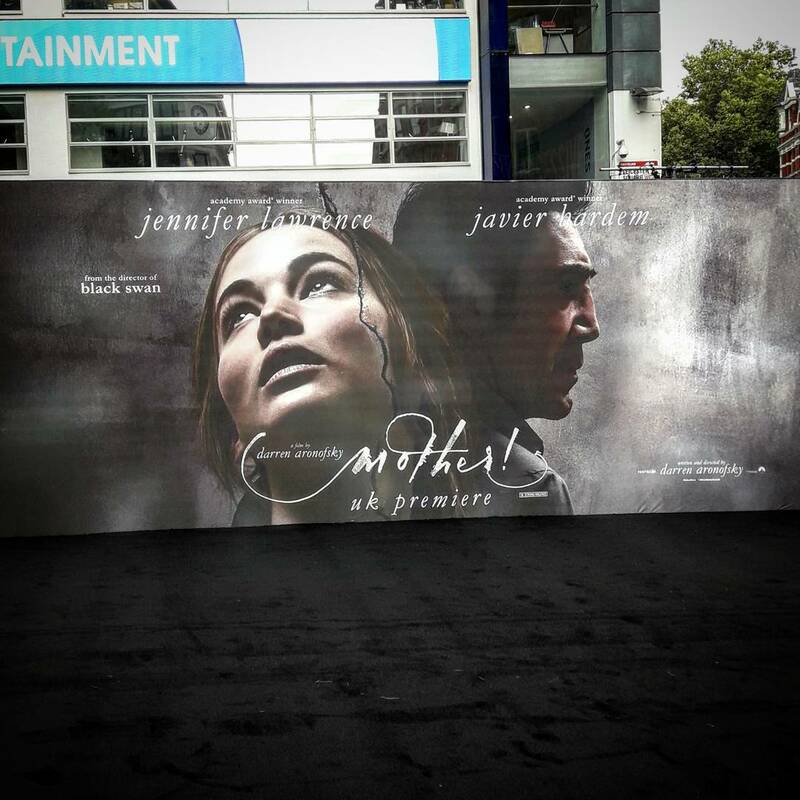 For Mother!, Darren Aronofsky signed almost all the gates whereas Jennifer Lawrence and Domhnall Gleeson were quickly directed to the journalists and therefore took fewer photos and signed fewer autographs. Everyone signed for Kingsman: The Golden Circle. Oh my Lord! 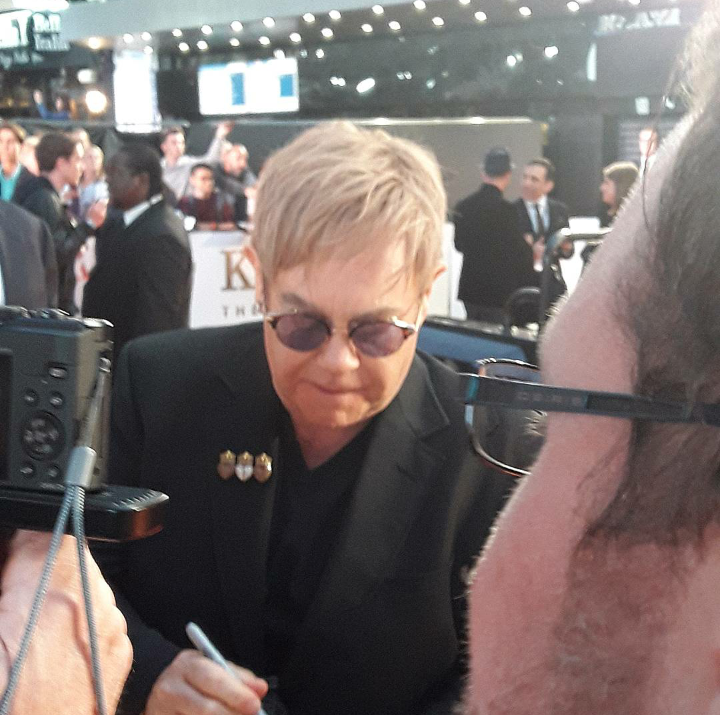 It was the biggest premiere of the month and everyone signed and took pictures. I only wanted three pictures. One of Colin Firth (who really took all his time to take pictures and sign – he is so perfect), a picture of Taron Egerton and one of Mark Strong. 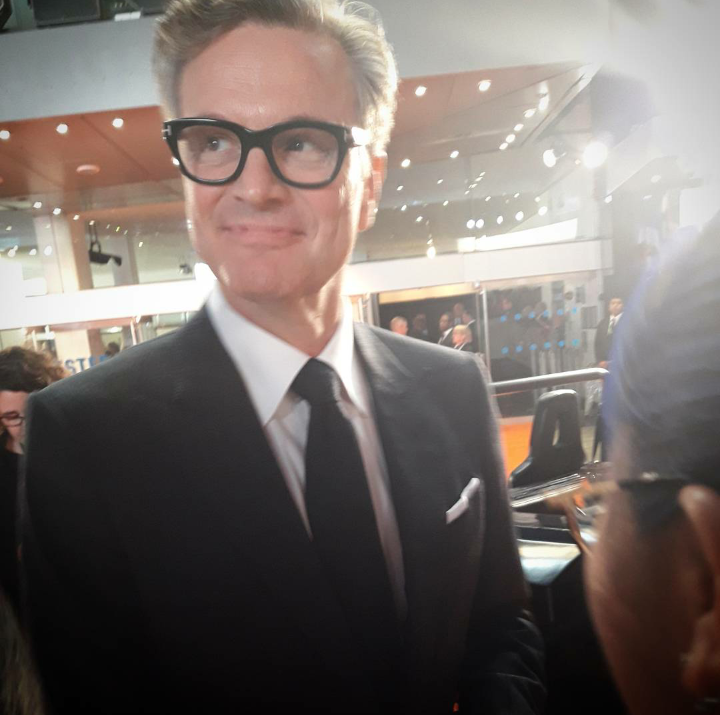 I got a picture of Colin Firth – a real bliss – but I did not have one of Taron Egerton nor Mark Strong. On the other hand, I got a picture of Elton John, Edward Holcroft and Hannah Alström. And the icing on the cake – surprise! 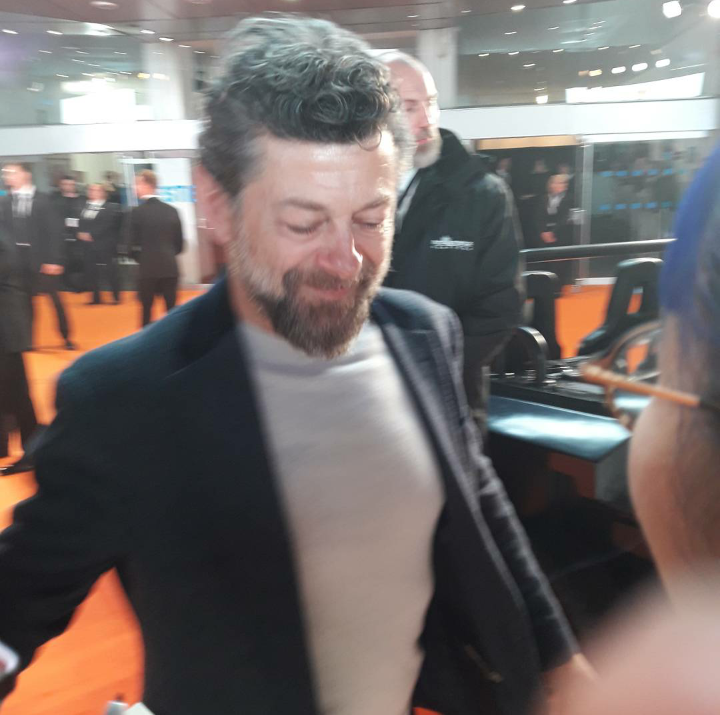 – I got a picture of Andy Serkis too! 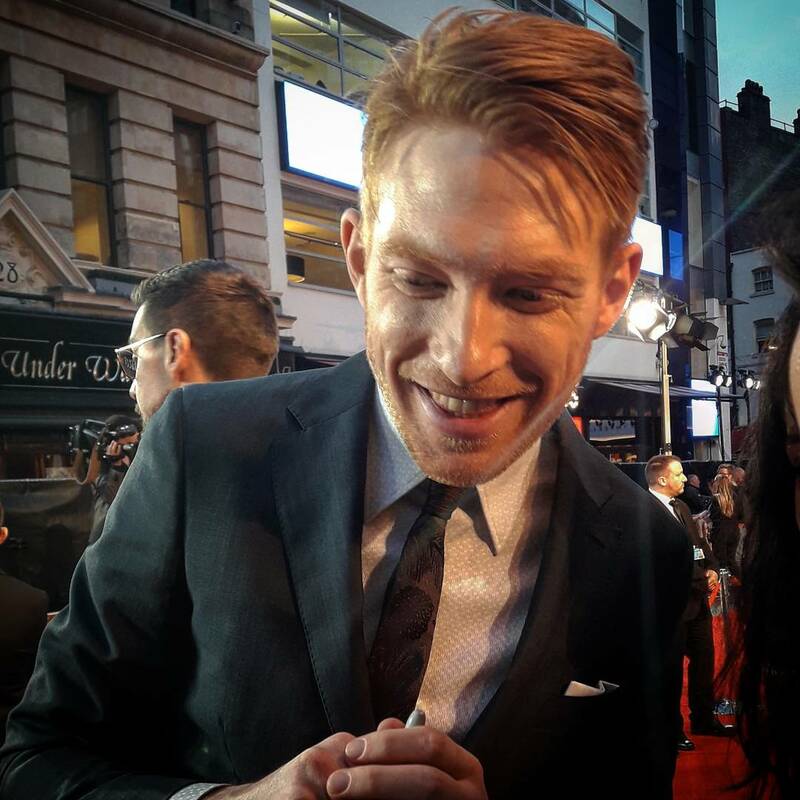 I could get pictures of Domhnall Gleeson and Margot Robbie who took their time to go and see everyone at Goodbye Christopher Robin premiere. I noticed that most of the people who waited for hours left almost immediately after getting their pictures with the whole cast. I need a little quiet time to get over the excitement of the premiere, and I quickly realised that this could be good for me. We are a cinema blog so seeing the actors is good but watching the movie in which they play is better. And even if you don’t have an invitation given by the warm-up act, you can still have a little luck. 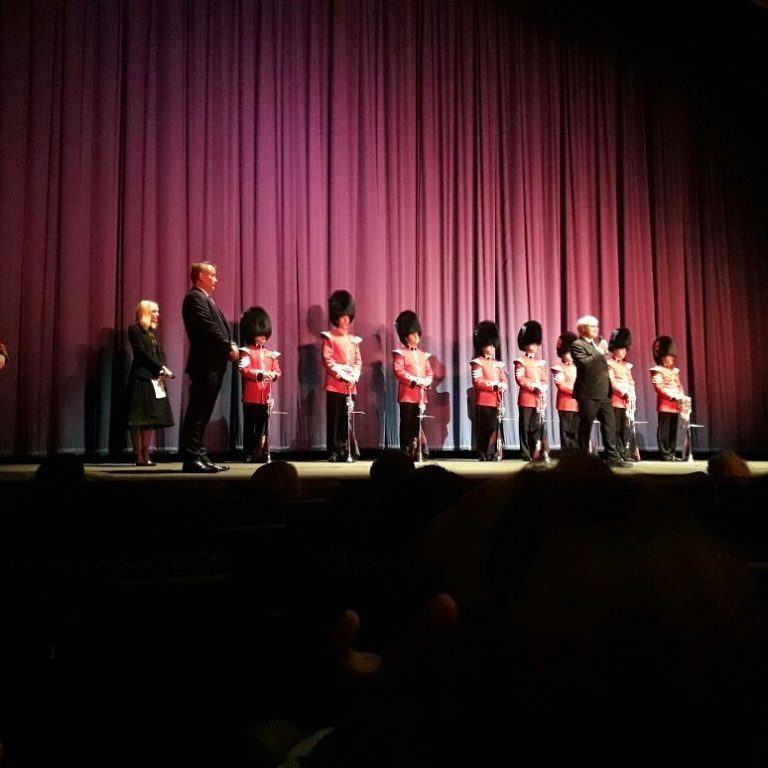 That happened at Victoria & Abdul premiere when a security guard asked me if I wanted to see the film. Oh hell yeah! So I ended up with an invitation, I crossed the red carpet and watched the film in the front row. Bingo! Nothing happened for Mother! and it was the same for Kingsman: The Golden Circle (what a shame). But I am not surprised. I think it’s harder to get lucky for such a big movie. 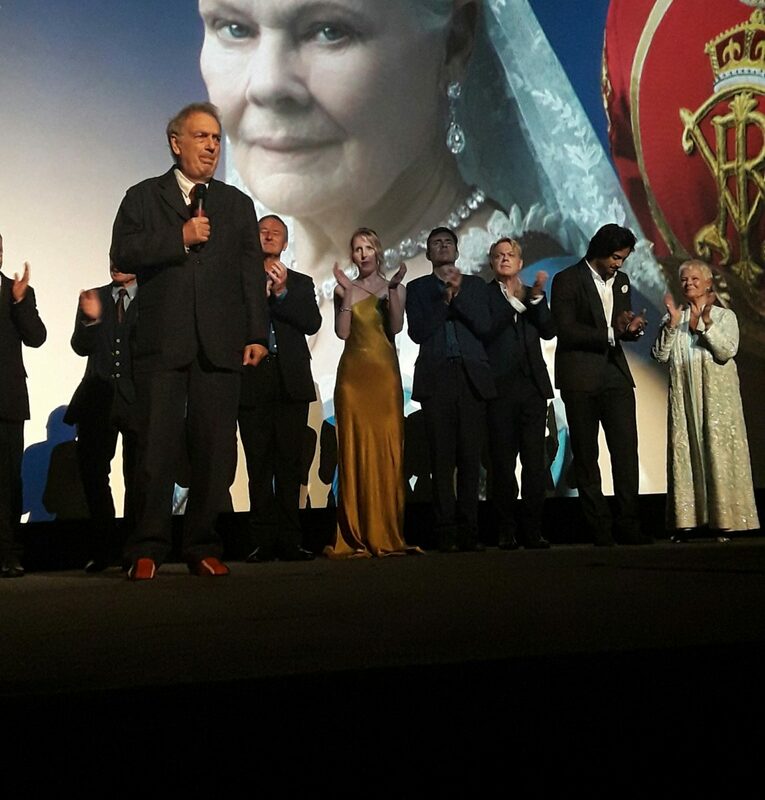 But when the cast finished introducing the film, some of them (Halle Berry, Julianne Moore, Channing Tatum, Taron Egerton, Elton John, Matthew Vaughn) came out of the theatre. And even if I could not get a picture of Taron Egerton, I could have a high five with him. And that was better than all the pictures I could have got of him. 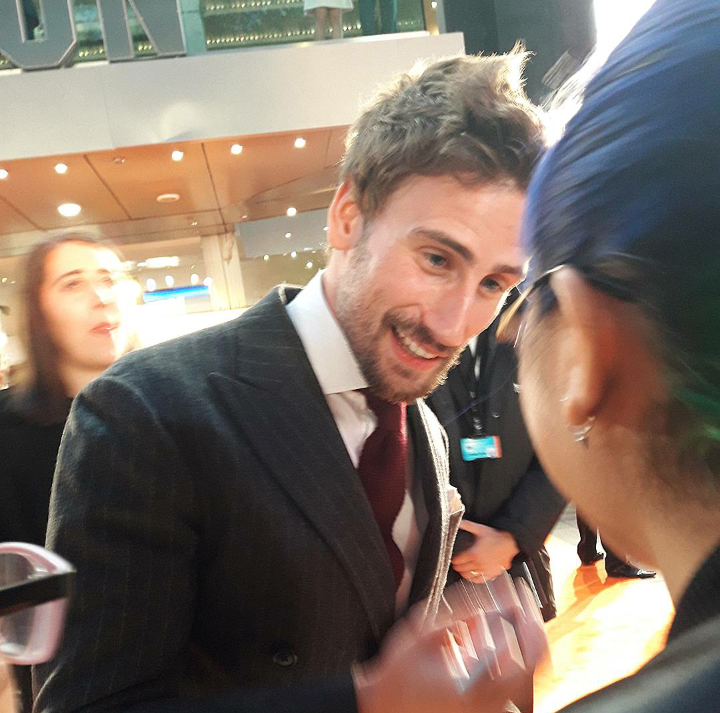 Luck was still there at Goodbye Christopher Robin premiere. I didn’t have an invitation, but I could see the film thanks to the event organisers who offered fans who wanted to. So I took the opportunity. You really need to stay until the very end of the event, until the last actor is interviewed, until the carpet is removed for being sure the premiere is finally over. A surprise can always come at the last minute. Living and attending a premiere is something great. Living four of them in a month is quite amazing. I have thought at several times that I would not stay until the end, that I would be afraid of the crowd, of screams, of people pushing others… But I don’t regret anything. I don’t regret living these events behind the fences. And if I had to do it again, I think I would. Find us on our instagram account for more Premieres updates! Does Kingsman The Golden Circle live up to the hype of the series? Mother! 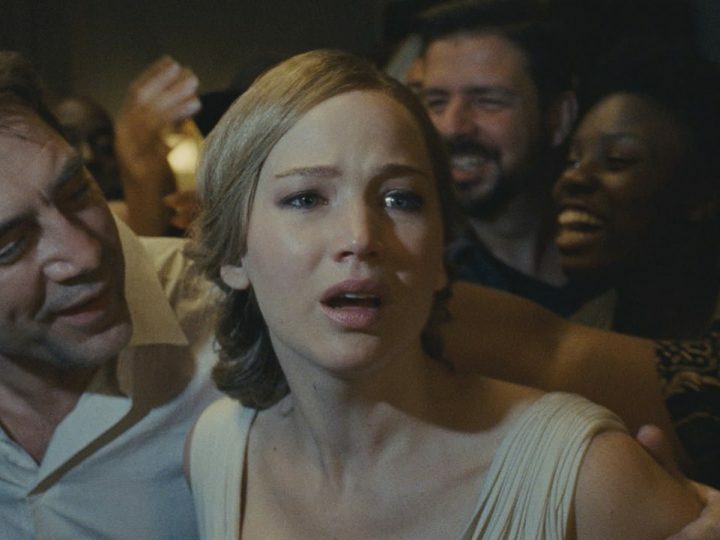 from Darren Aronofsky: God it’s bad! 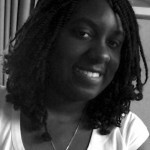 Hi Priscilla, how are you? First I would like to congratulate you on this amazing guide. I researched some tips on some websites, but yours was by far the best. Well, I’m planning to go to London in January / February next year. It will be my first visit and will coincide with the premiere of X-Men: Dark Phoenix. 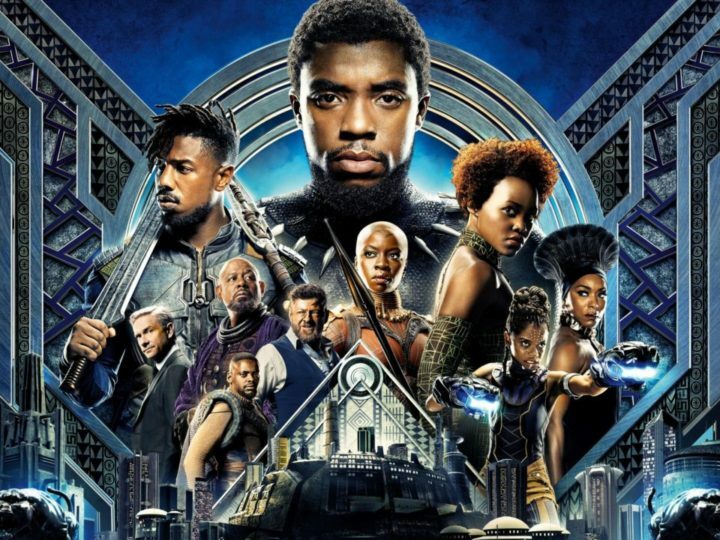 I’m very much a fan of the franchise and the actors, so I’m organizing eveything to not miss this chance and enjoy the premiere in the best way possible. I would like to know if you could help me in getting some doubts? First: You said that some real fans come in the morning or even sleep in front of the theater. Are many who do this? because I would like to get a place in the fences. Second: Speaking aboutfences, can I only stay in the fences if I have a wristband? If so, how do I get one? I go exactly where in the theater and with what advance you recommend that I go? 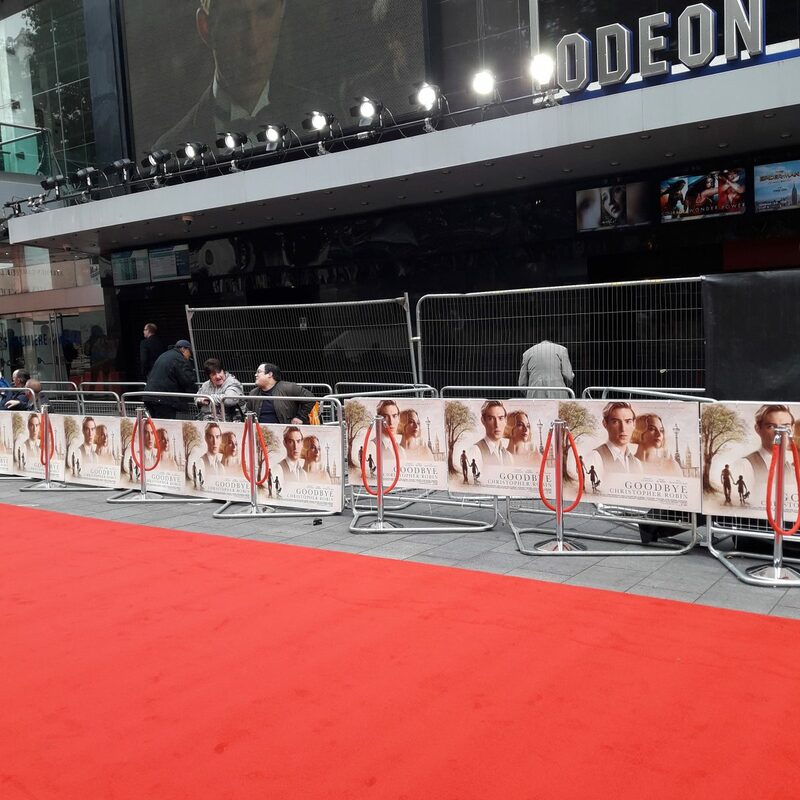 Third: I believe this X-Men premiere will be on Odeon. Do you recommend a good place to stay in the fences? Fourth and Last: what is the best website or place to check the confirmation dates of the premieres? Thank you very much for your attention and I’m sorry if i’m bothering you. I hope we can keep in contact with each other and maybe meet in the premiere. First, I’d like to thank you for this long comment and I’ll try to answer you as accurately as possible. For the first question, I am sorry but I can’t tell you how many people sleep in front of the theatre because I never did it and I think I will never ever do it. As I said in the article, you need to go inside the theatre to ask for a wristband. 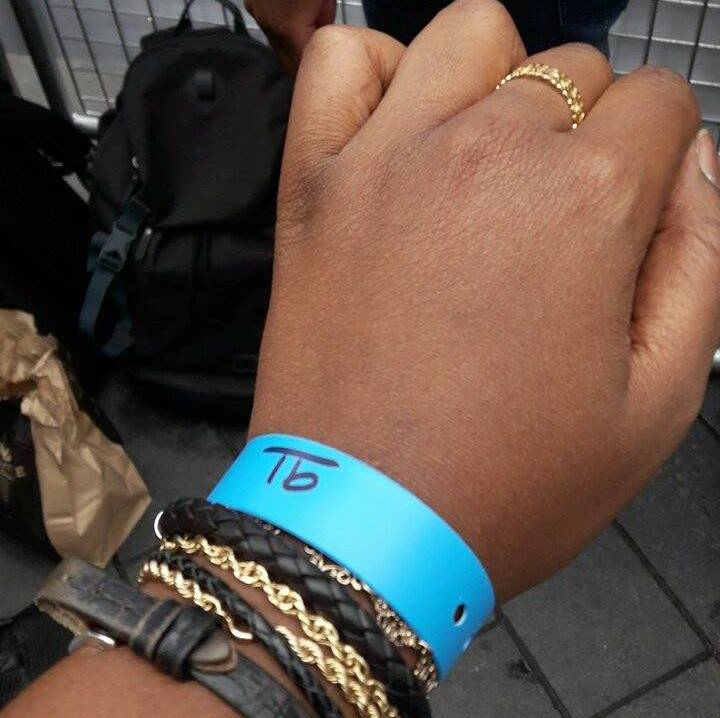 You can leave the fences if you need it because the wristband is a proof you want to attend the premiere. So the security will let you come and go. Most of the premieres officially start at 5pm, so you can arrive at least late morning, early afternoon if you don’t want to sleep outside the day before. Once again, I can’t tell you if the premiere will be at the Odeon. It’s been few months that all premieres were everywhere but at the Odeon and there is not a good or bad place to the fences. This is you and your luck. I hope my answer was clear enough, will help you and I hope you will enjoy your trip to London. First I would like to thank you for your help. It means a lot to me. I wonder if I can ask two more questions? 1. Do they usually give something in the theaters to autograph or what do you recommend I take? 2. Equipment such as selfie sticks are welcome to take the pictures or film? Thank you so much again and congratulations for your working with this website. They give some goodies or posters sometimes but I recommend you to take your own stuff. And I am not sure you can have a selfie stick, but I will not advise you to take it. Thank you so much again for all you help. This is wonderful information! 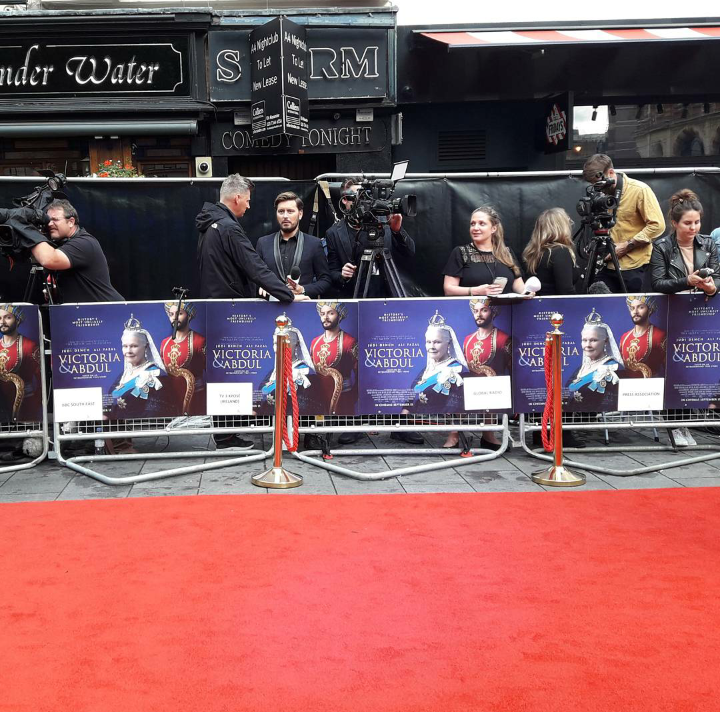 I will be in London during the Happy Prince Premiere in June it is at the Vue in Leicester Square and I was wanting to know is there a particular person (manager) to see at the Cinema for Wristbands? Can I go the day before or day of event? Thank you for your help? It’s great if you liked the article. To answer your question there is not a particular person to see for wristbands. You just need to go and see the security staff and ask for one. Someone will give you a wristband with a number on it few hours before the day of the event. But you can’t go there and ask for a wristband the day before because nothing will be ready at that moment. Thank you for your informative article! Are the wristbands numbered and once you get them you can leave and come back before they open the pens? Or do you have to queue up again to try to be at the front? To answer your question, yes, the wristbands are numbered and you can come and go as you like. But you need to do whatever you can to be at the front when you queue up for the first time. You also need to know that it’s really hard to leave the fences when you attend a huge premiere because you can lose your place. I know that it’s really hard to stand up for hours, but I think you can bring a small stool.